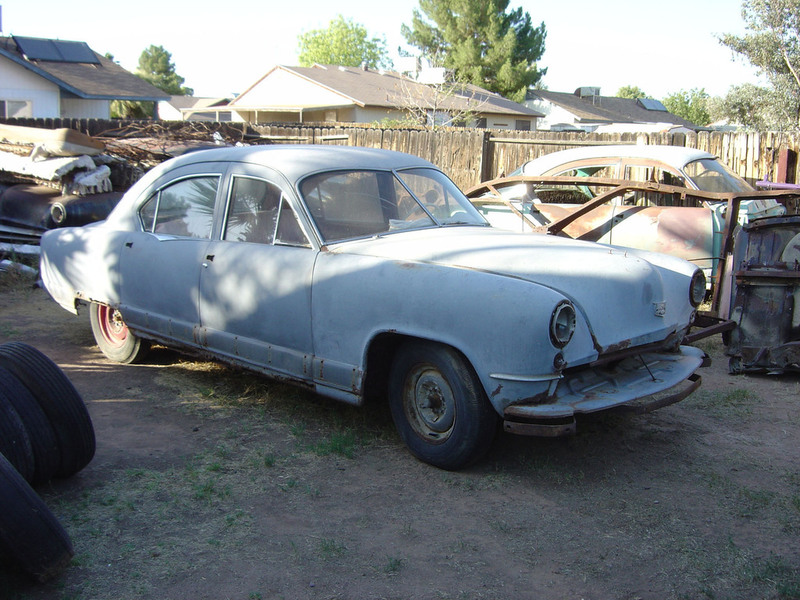 There’s one 1951 Kaiser that was lucky to walk away from crusher. 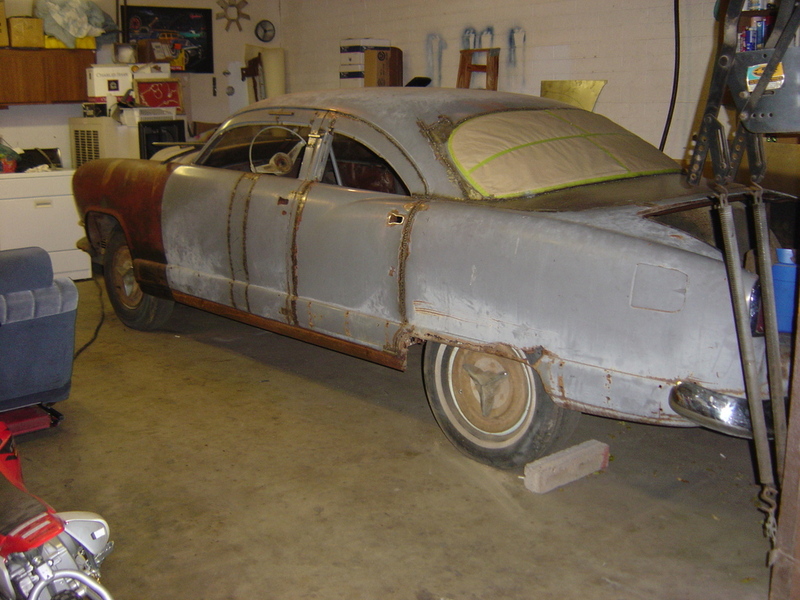 One man army project – Keith Charvonia saved the car and did all the metal work by himself. 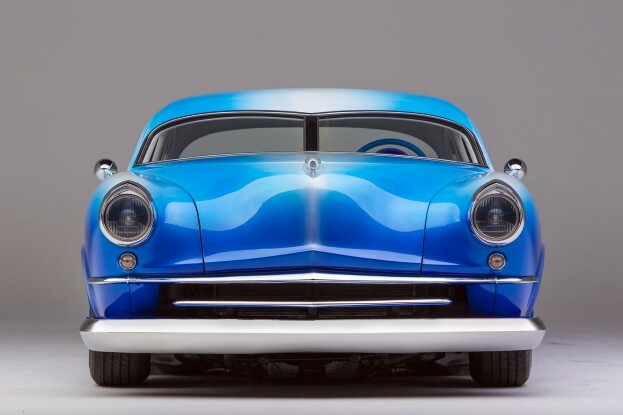 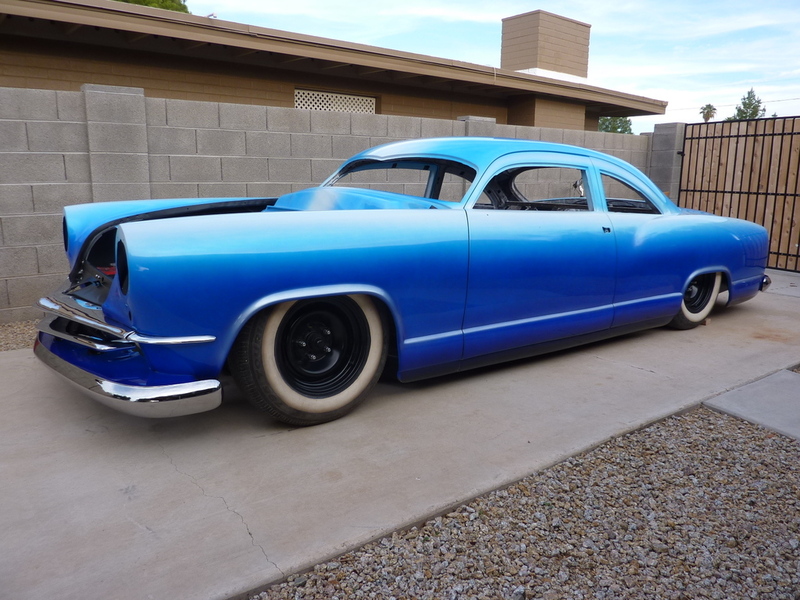 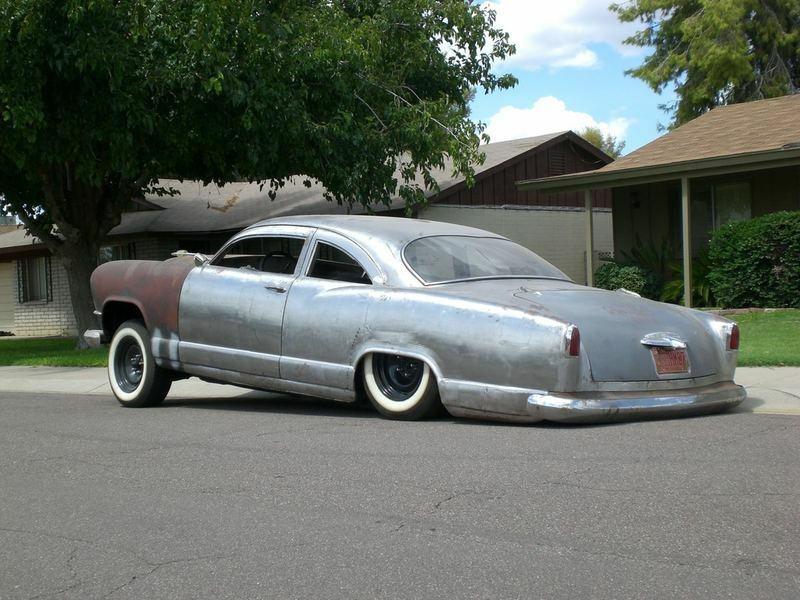 He spend 8 years learning “how to” and building this custom and chopped 1951 Kaiser. 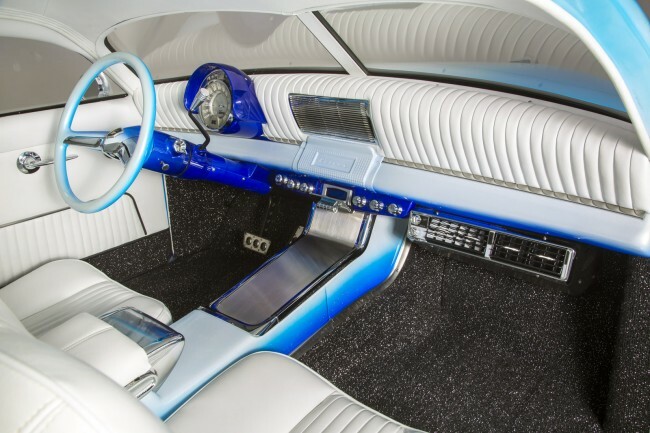 It sists on ’90s Caprice hassis. 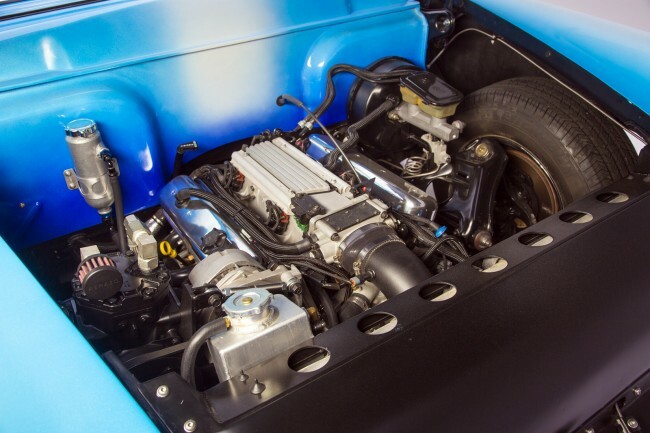 The power comes out of cop car’s LT1 small block and rides really low. 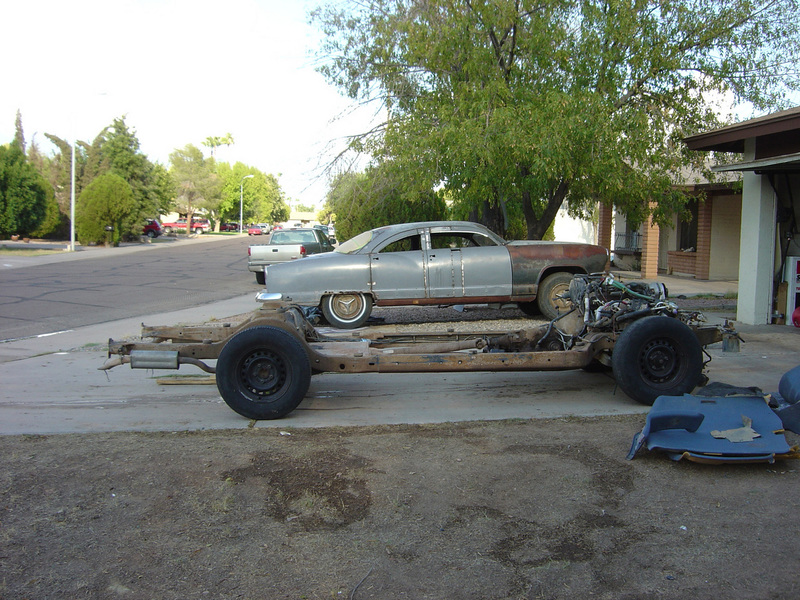 It looked awesome before the paint job too!